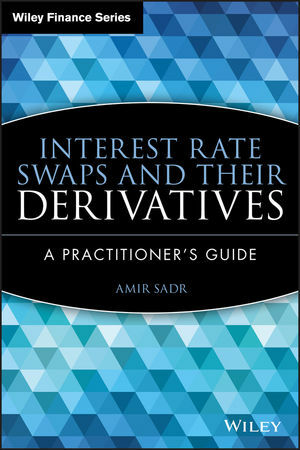 With this book, author Amir Sadr shares his valuable insights with practitioners in the field of interest rate derivatives-from traders and marketers to those in operations. AMIR SADR, PHD, has experience as a quant, trader, financial software developer, and academic in fixed income markets. He traded options and exotics at HSBC in New York from 2005 to 2006 and traded at the proprietary desk for Greenwich Capital Markets (GCM) for four years prior to that. Sadr also has experience at Morgan Stanley as a vice president in the derivatives products group where he traded interest rate derivatives and exotics. Since 1996, Sadr has served as an adjunct professor at New York University in the Department of Finance and Accounting. CHAPTER 1 Bonds: It's All About Discounting. CHAPTER 2 Swaps: It's Still About Discounting. PART TWO Interest-Rate Flow Options. CHAPTER 5 Derivatives Pricing: Risk-Neutral Valuation. From One Time-Step to Two. From Two Time-Steps to . . .
Risk-Neutral Valuation: All Relative Prices Must be Martingales. Interest-Rate Options Are Inherently Difficult to Value. CHAPTER 7 European-Style Interest-Rate Derivatives. Bermudan-Style Options in Simulation Implementation. CHAPTER 10 Full Term-Structure Interest-Rate Models. Shifting Focus from Short Rate to Full Curve: Ho-Lee Model. Heath-Jarrow-Morton (HJM) Full Term-Structure Framework. Migration to Full-Term Structure Models. Ito's Lemma: Taylor Series for Diffusions. APPENDIX C Girsanov's Theorem and Change of Numeraire.